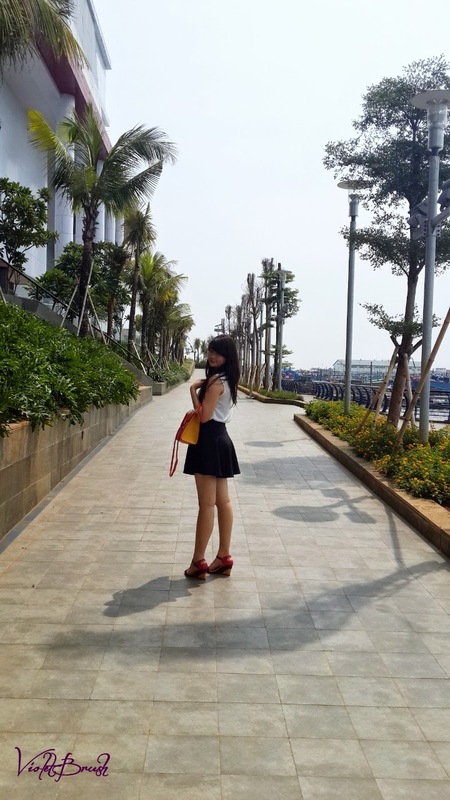 A few weeks ago, I went a date with my boyfriend and it was so pretty there so I had him to take my OOTD shots :b It was actually a mall by the bay (or sea, maybe). My OOTD wasn't that 'special', it was just something simple. If you actually follow my instagram, I posted some of the photos there already. 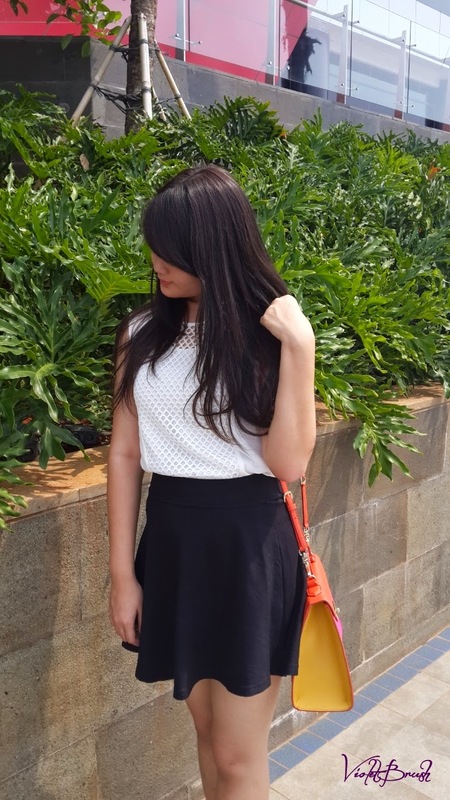 My OOTD that day was themed monochrome, combine with some touch of bright colors which were pink, orange, and yellow.